Budgeting is an essential part of everyday life. 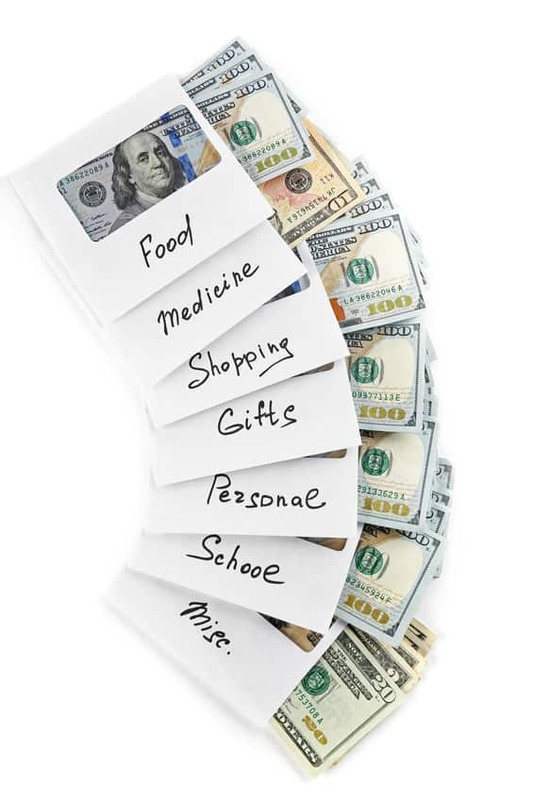 Learning How to Budget Using Envelopes and Cash is a great way to really get control of your personal finances once and for all. Budgeting allows you to allocate your money where it needs to go, so that you are able to keep up with bills, while still being able to put food on your table, and a roof over your head. But sometimes sticking to your budget can be tricky. 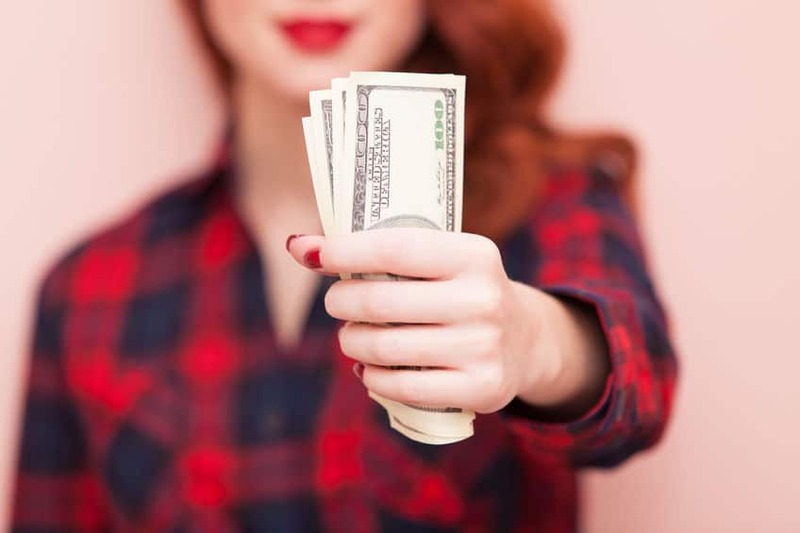 The envelope system is a nearly foolproof way to stick to your budget because you can physically see exactly how much money you have at any given time. 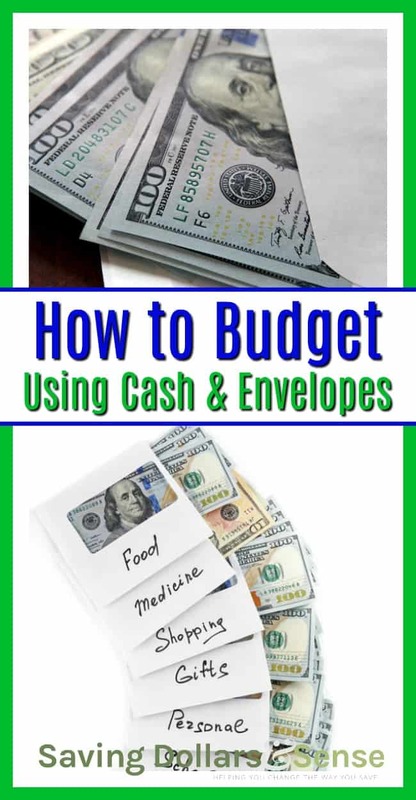 Here are the basics of using envelopes and cash to budget. First things first, you need to have an envelope for each category in your budget. For example, groceries, gifts/donations, utilities, and fuel would require four separate envelopes, each labeled on the outside, with the category. Do not limit it to just those four, through. Have one envelope for everything in your budget! Don’t forget to include your Emergency Fund Savings envelope. You can choose any envelopes you have available. I love how happy these colorful envelopes are. 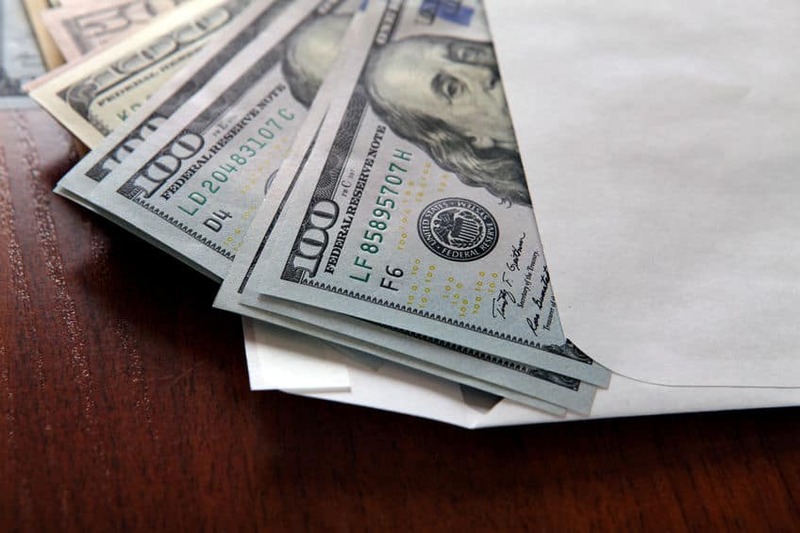 Once your lovely paycheck hits the bank, be sure to head to the bank and retrieve your cash, so that you can allocate it to the proper envelope. You may find it easier to ditch the direct deposit completely, so that you cannot use laziness as an excuse not to go. When you leave your money in the bank and use a debit card to spend your money, it can be too easy to spend more than you had budgeted. It is far too easy to put off going to the bank, unless you have a check that you have to cash. Once you have your money in hand, then decide how much of your paycheck each week will go to each category. Be sure not to cut yourself short. 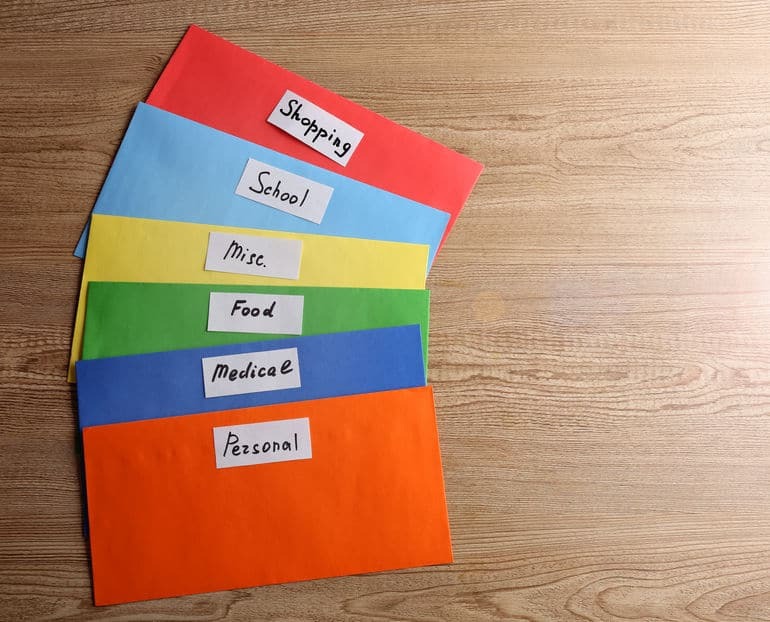 If you need the money for groceries right away, put what you need in the grocery category, and then divvy the rest up among the other envelopes. When it comes time to pay your bills or buy groceries, it is important that you use only the money from the proper envelope. So, if you only have thirty dollars in your fuel envelope, you can only buy up to thirty dollars worth of gas. If it is not enough, get creative, and consider other options. Carpool with a friend. Put off your errands until next week when you have the money for more gas. But to make the envelope system work, it absolutely unacceptable to dig into other envelopes! If you find yourself with extra money after shopping at the grocery store, it does not mean that you have to go back in and buy more food. 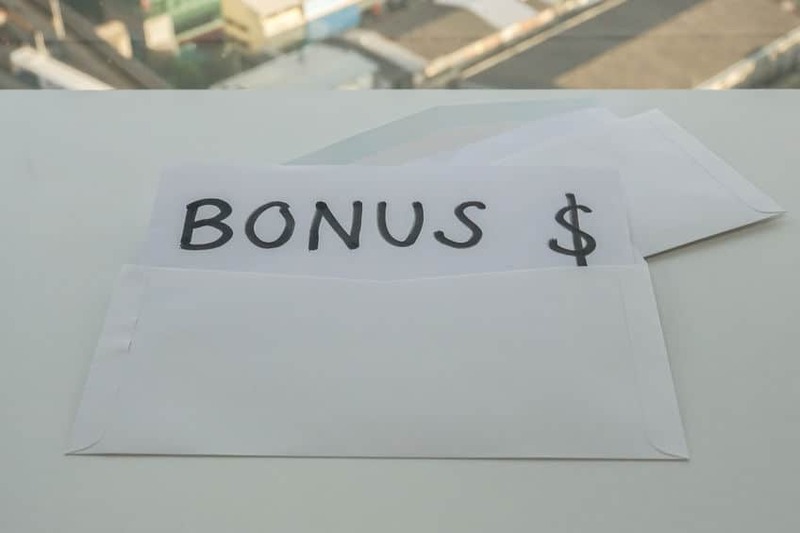 Put your extra cash back into the envelope, when you get home, and save it for the next trip. If at the end of the month you still have extra, pat yourself on the back! Do not hesitate to treat yourself and buy something small with your leftover money on occasion, and then put the rest into your “rainy day” envelope. 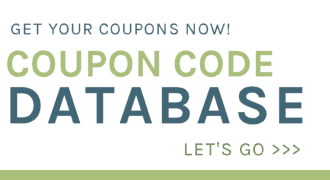 Or keep it in the grocery envelope to use when you find an amazing stock up price on meats or other more costly items. Budgeting using envelopes and cash can be tricky, but once you get used to it, you’ll be glad for this new way of doing things. Do you budget using envelopes and cash? I’d love to hear your tips!